Happy new year to everyone! My brother managed to get hold of a Danish Christmas Tree in Hong Kong this year, and it is a real beauty. Above is a close-up of the tree. 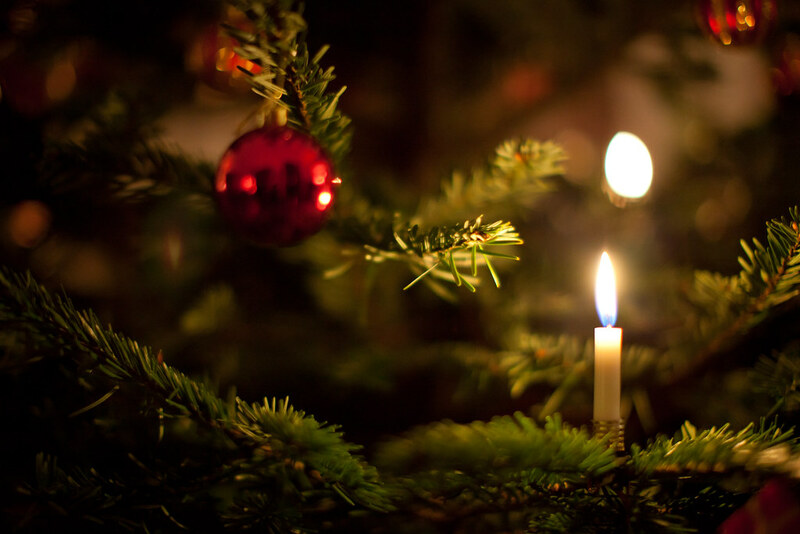 True to Danish Christmas traditions, the tree is lid with real candles. I used the 50mm f/1.2 lens wide-open with the ISO at 1600 and a shutter speed of 1/80s.